Enter to Win Thunder Tickets! 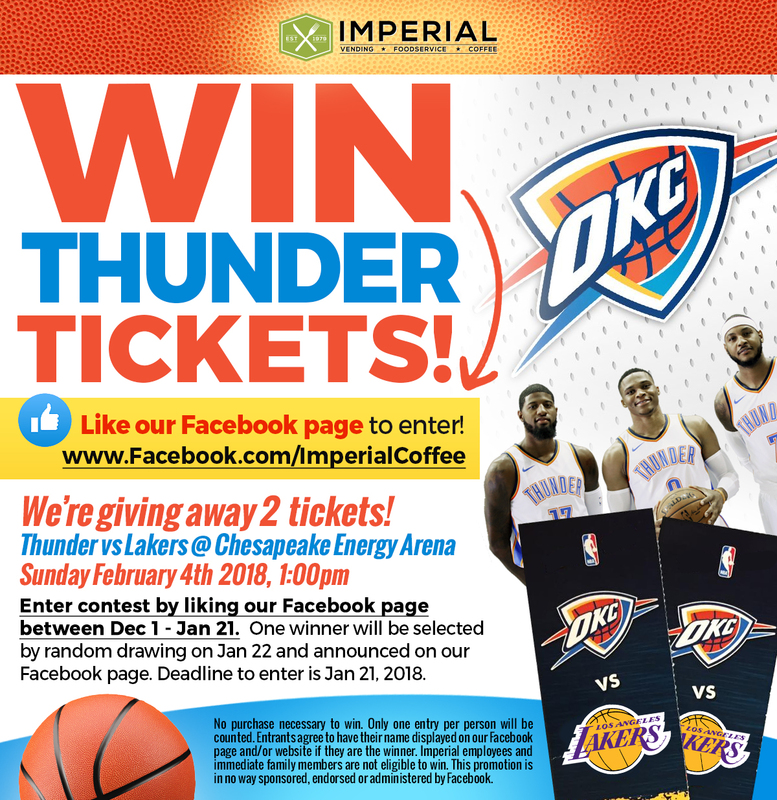 Home / Enter to Win Thunder Tickets! We’re giving away 2 tickets! Enter contest by liking our Facebook page between Dec 1 – Jan 21. One winner will be selected by random drawing on Jan 22 and announced on our Facebook page. Deadline to enter is Jan 21, 2018. No purchase necessary to win. Only one entry per person will be counted. Entrants agree to have their name displayed on our Facebook page and/or website if they are the winner. Imperial employees and immediate family members are not eligible to win. This promotion is in no way sponsored, endorsed or administered by Facebook.